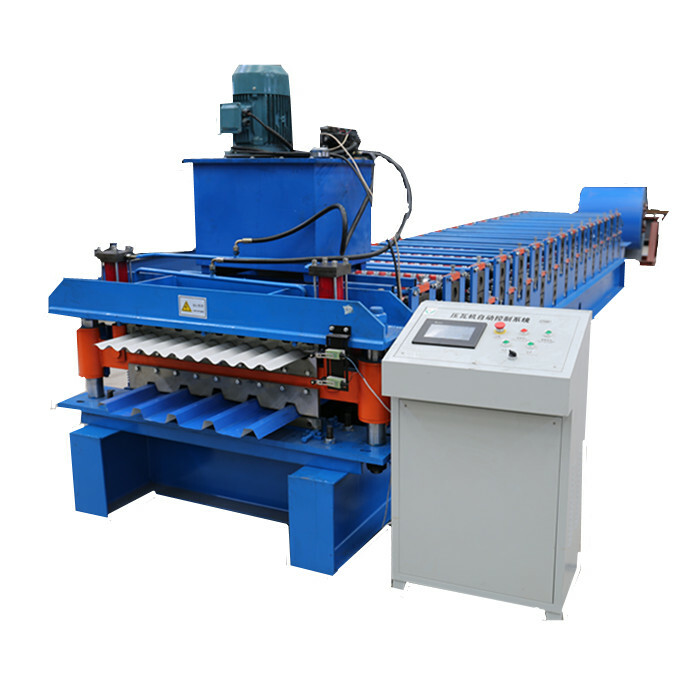 R panel roof panel is used a lot in USA as warehouse or residential house.Roll Forming Machine is composed of automatic decoiler,main forming machine and hydraulic cutter. With encoder measuring and speed control,different order and length can be made as your request. If want to learn more about our roof sheet roll forming machine just contact us.We are specialized manufacturer of Roof Roll Forming Machine,and exported to different countries for many years. 4	 Control System	 DELTA PLC& transducer, others are Chint etc. Looking for ideal Roof Panel Roll Forming Equipment Manufacturer & supplier ? We have a wide selection at great prices to help you get creative. All the Roof Panel Roll Formers are quality guaranteed. We are China Origin Factory of R Panel Rolling Formers. If you have any question, please feel free to contact us.